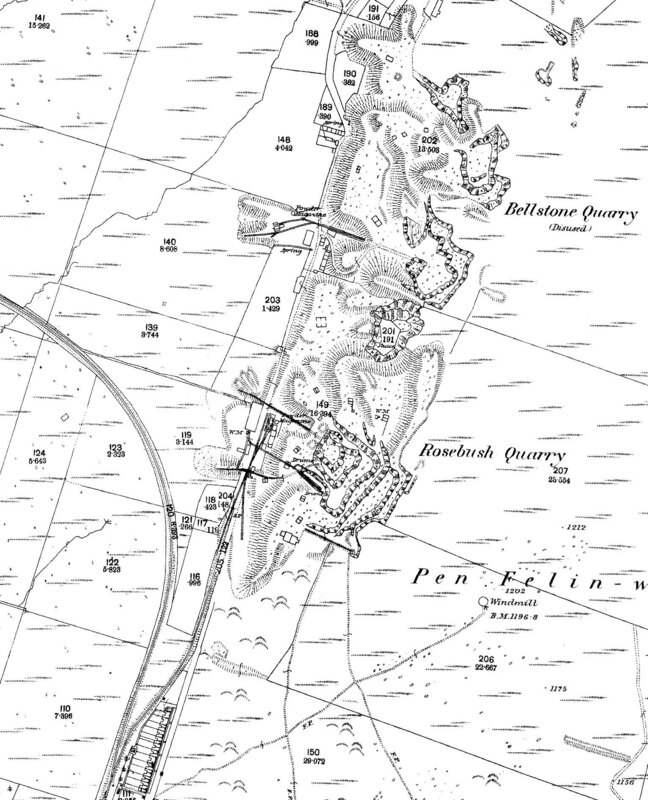 1889 1:2,500 OS map showing Rosebush and Bellstone Quarry and the connection to the Maenclochog Railway. This was a slate quarry and had provided material for the roof of the Palace of Westminster, presumably during the post-fire rebuild which commenced in 1840 and took 30 years to complete. It is said that slate from Rosebush and Bellstone was not of especially good quality for roofing but was excellent for building blocks. Today the old quarry is accessible by the public and its lakes popular for swimming. The engine shed is to the left of the magazine.